Sheri's World: Hello Kitty Jet Plane – For Real! Hello Kitty Jet Plane – For Real! I saw this on the news today and it is something that I just had to share with everyone. I love Hello Kitty and although I don’t fly often, if I did… I would totally want to take a trip on this Hello Kitty airplane! Even the flight attendants are all Kittified serving Hello Kitty themed food! Although this dance party probably doesn't happen every time, it is pretty darn cute. 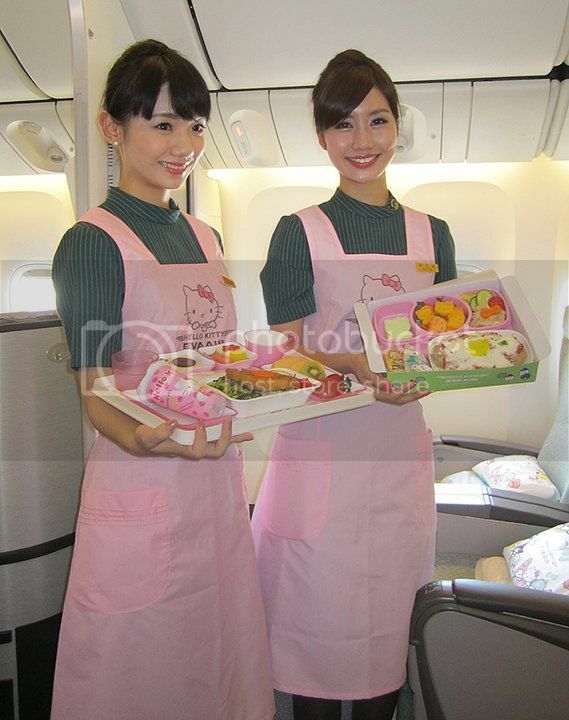 For more fun pictures, check out the EVA Air Hello Kitty cuteness here. So... what do you think? Would you want to fly on a Hello Kitty airplane like this one? I know I would… and I probably wouldn’t even mind one of those really long flights on it, either.